An industry badge of excellence performs a number of different functions. The awards ceremony itself provides an opportunity for individuals to mingle with people from the same niche and perhaps even to share their experiences. The ceremony can also provide a useful morale boost by recognising the hard work of companies as well as the individual team members within those companies. Perhaps most importantly, though, a badge of excellence provides a clear indication to consumers that the recipient is a name to trust. This is one of the main reasons why the results of the British Travel Awards 2013 are awaited with interest. The integrity of any awards scheme largely depends on the transparency and fairness of the selection process. When an anonymous committee makes the decisions, it becomes very easy to call those decisions into question. The result of this is that members of the public fail to take the awards seriously, and this can lead to lack of interest among the industry as a whole. Fortunately there isn’t this problem with the British Travel Awards. The key to the success of these Awards is that it’s the public who make the key decisions. Allowing the public to have their say certainly makes sense given that the whole purpose of the Awards is to measure performance and customer satisfaction. In order to achieve excellence within the travel niche, it’s necessary to ensure that customers are looked after at every stage. This of course includes the services provided on the holiday itself. However, it also relates to the pre-holiday stage – including the booking process. Rather than having an external panel assessing this, it makes sense that customers have their say. 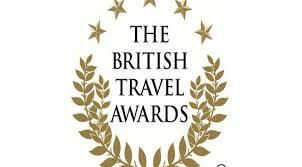 Customers are able to vote in this year’s awards via the British Travel Awards website, www.britishtravelawards.com. This website features a voting registration form, and enables customers to view the various categories and the nominees under those categories. To ensure the integrity of the voting process, international financial services and auditing company, Deloitte, has been appointed to independently verify the results. Many of the country’s most reputable holiday companies are named as nominees. One such company is Newmarket Holidays. Notching up an impressive five nominations in this year’s Awards, Newmarket Holidays will be looking to build upon past successes. In previous years, Newmarket Holidays has already picked up awards in the Best Coach Holiday and Best Operator to Italy categories.